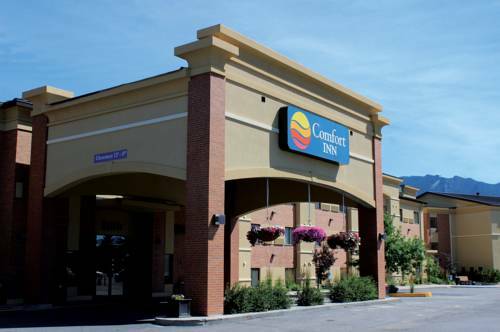 Behind every great day is a great night at the pet-friendly Comfort Inn hotel in Butte, MT. Our hotel is near attractions like the World Museum of Mining, Mineral Museum, Bert Mooney Airport, Montana Tech of the University of Montana and the Butte Civic Center, the largest indoor venue in town. Take advantage of our free hot breakfast, free WiFi and meeting space that can accommodate up to 64 event attendees. Rooms feature refrigerators, microwaves, coffee makers, TVs, hair dryers, irons and ironing boards. We also offer membership to the Choice Privileges Program, which gives members the opportunity to earn valuable rewards points toward airline miles, gift cards and free hotel room nights. Pay at the entrance, walk through a tunnel, and emerge on the other side to a viewing platform over a vast hole in the ground filled with toxic water. It's like Crater Lake, except it's a lake of poison. The Washington Monument could slip inside of it. This now-retired industrial chimney was once America's tallest smokestack.